This nature-inspired design is a split shank engagement ring from the Stella collection. It features 0.22 ctw of diamonds. The signature handcrafted details include peek-a-boo diamonds and filigree. 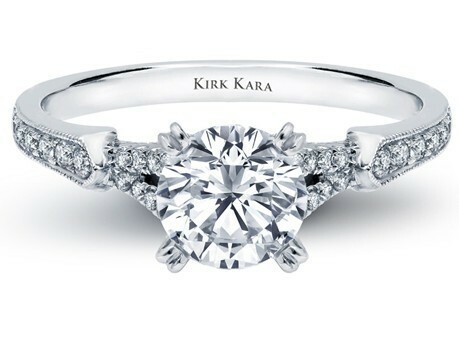 The center 1 carat round stone is a customized option.